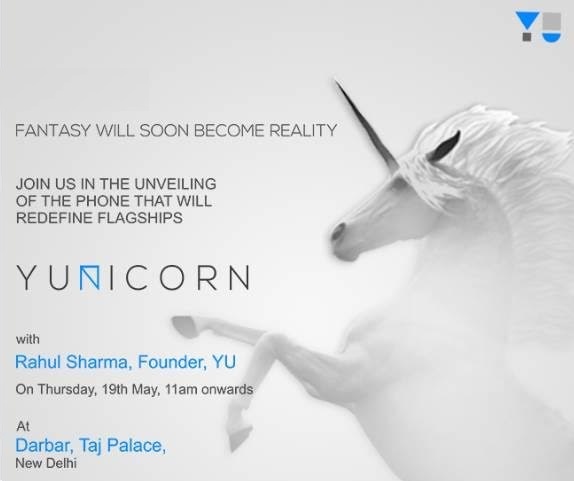 YU Yunicorn is all set to be launched on May 19. After multiple teasers on the YU forums, the company has released information that the next flagship from its house will be called the Yunicorn. While we can continue to dream about unicorns in real life, YU wants us to believe that we should expect the Yunicorn to make a mark in the Indian smartphone industry. Here are our expectations from the YU Yunicorn. While YU has left its audience to let their imagination wild about the company’s next flagship, we have our own expectations from the YU Yunicorn. While discussing with the rest of the team, we have realized that these are some of the things that we want to see in the YU Yunicorn. India is a very price sensitive market, compared to the likes of the US and Europe. Contracts don’t work here and therefore, customers buy their phones outright. Other than that, we have a lot of very good phones being released in the mid-range. From the likes of Xiaomi, LeEco to Lenovo, Motorola and most recently Samsung – there are a lot of good options that you can go for in the Sub-15,000 price range. With the Xiaomi Redmi Note 3, or the LeEco Le 1s or the recently launched Samsung Galaxy J7 or J5 – YU has a lot of stiff competition already. For the YU Yunicorn to make a mark in the market, it will have to get the pricing right. Even ‘Sub Rs. 15,000’ range is fairly vague, showing just how price sensitive our market is. Still, we are expecting the YU Yunicorn to be priced under Rs. 15,000. While not every phone in the sub-15000 category comes with a full HD display, the top performing phones have a full HD display. Looking at phones like the Redmi Note 3, and the fact that YU is promising a flagship destroyer in the form of the Yunicorn, a full HD display is par for the course. It remains to be seen what will be the display size. We are expecting the phone to have a 5.2-5.5 inch display with Gorilla Glass protection. While 13 MP cameras are the norm these days, we expect the YU Yunicorn to come with a 16 MP camera on the back. Optical Image Stabilization would be a handy addition as well. The YU Yunicorn is going to be the first smartphone from YU to come without Cyanogen OS. Instead, YU is going to use stock Android Marshmallow as a base for the Yunicorn. This is mostly a good piece of news for YU’s customers – moving away from Cyanogen will allow the company to control the software experience. The YU Yunicorn will feature stock Android with small modifications to add some extra features. Rahul Sharma, YU founder, has reportedly said that “the Yunicorn will be among the first ones in the market to get Android N update when Google releases the new version of Android,”. What are your expectations from the YU Yunicorn? Let us know in the comments below.